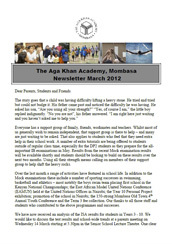 Read the March 2019 edition of the Aga Khan Academy Mombasa Junior School newsletter. 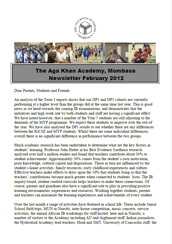 Read the February 2019 edition of the Aga Khan Academy Mombasa Junior School newsletter. 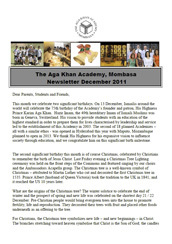 Read the January 2019 edition of the Aga Khan Academy Mombasa Junior School newsletter. 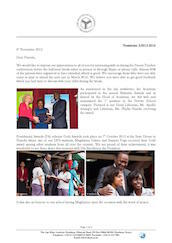 Read the November 2018 edition of the Aga Khan Academy Mombasa Junior School newsletter. 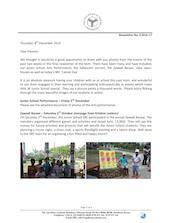 Read the November/December 2018 edition of the Aga Khan Academy Mombasa Junior School newsletter. 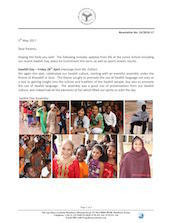 Read the October 2018 edition of the Aga Khan Academy Mombasa Junior School newsletter. 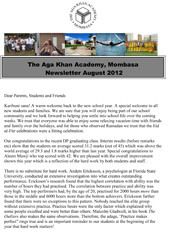 Read the September 2018 edition of the Aga Khan Academy Mombasa Junior School newsletter. 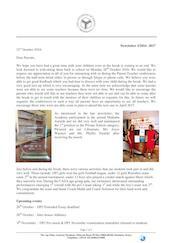 Read the October 2017 edition of the Aga Khan Academy Mombasa Junior School newsletter. 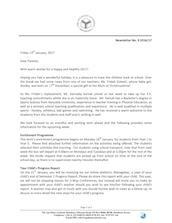 Read the September 2017 edition of the Aga Khan Academy Mombasa Junior School newsletter. 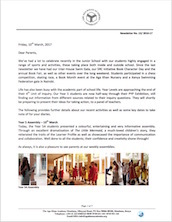 Read the May 2017 edition of the Aga Khan Academy Mombasa Junior School newsletter. 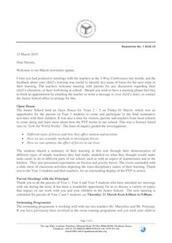 Read the April 2017 edition of the Aga Khan Academy Mombasa Junior School newsletter. 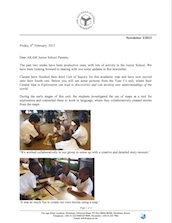 Read the March 2017 edition of the Aga Khan Academy Mombasa Junior School newsletter. We’ve had a lot to celebrate recently in the Junior School with our students highly engaged in a range of sports and activities. Isla Gordon expresses her appreciation of the school community as she describes the IB evaluation visit. 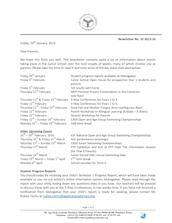 Read our February newsletter to find out more about this and other school events. Happy New Year! 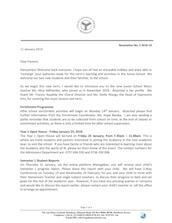 The new year comes with fresh updates and lots of excitement here at the Junior School. 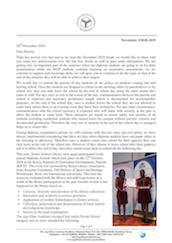 Read our January newsletter to find out more. Check out some beautiful photos from the Arts Week, Zawadi Bazaar and other school events held recently. 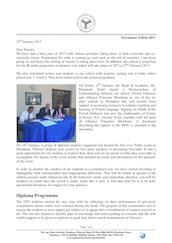 Read about the latest updates from Junior School. Featuring the arts heavily, this newsletter is sure to be an aesthetic delight for your eyes! 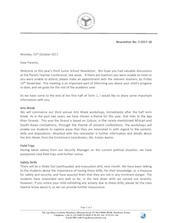 We are happy to be back at school after a refreshing break and excited about our upcoming events. 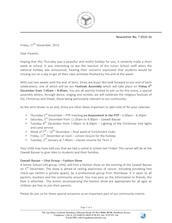 Read the latest Junior School newsletter to find out more about the events we have in store for you next month! Elections, sports, and learning collaboration! 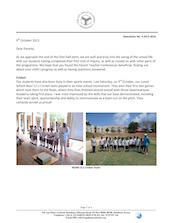 Read about all the exciting experiences of the Junior School students this month. 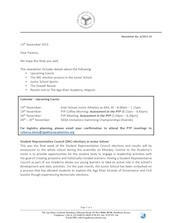 This edition contains updates on key dates for the upcoming Student Representative Council election. 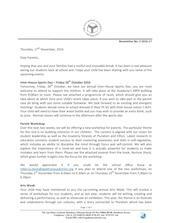 It also includes student reflections from a Year 4 trip, a recap of the parent workshops, and a message from the Junior School Librarian. We are excited to welcome you to a new year at school this month! 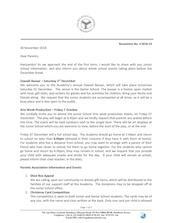 Welcome to the final Junior School newsletter of the 2015-2016 academic year. 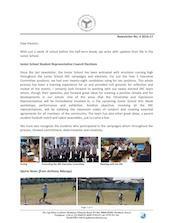 Welcome to the eighteenth Junior School newsletter of the 2015-2016 academic year. 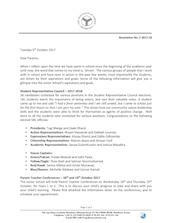 Welcome to the seventeenth Junior School newsletter of the 2015-2016 academic year. 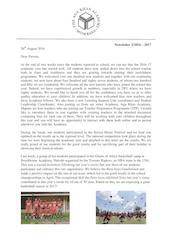 Welcome to the sixteenth Junior School newsletter of the 2015-2016 academic year. 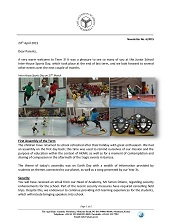 Welcome to the fifteenth Junior School newsletter of the 2015-2016 academic year. 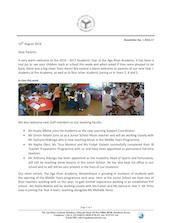 Welcome to the fourteenth Junior School newsletter of the 2015-2016 academic year. 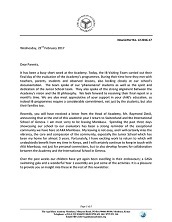 Welcome to the thirteenth Junior School Newsletter of the 2015-2016 academic year. 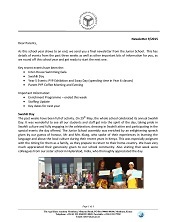 Welcome to the twelfth Junior School newsletter of the 2015-2016 academic year. 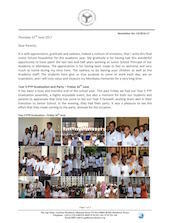 Welcome to the eleventh Junior School newsletter of the 2015-2016 academic year. 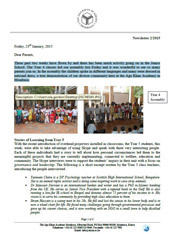 Welcome to the tenth Junior School Newsletter of the academic 2015-2016 academic year. 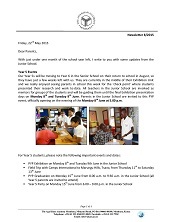 Welcome to the ninth Junior School Newsletter of the 2015-2016 academic year. 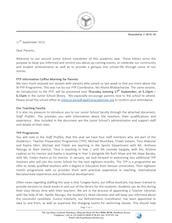 Welcome to the eighth Junior School newsletter of the 2015-2016 academic year. 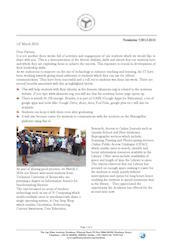 Welcome to the seventh newsletter of the 2015-2016 academic year. 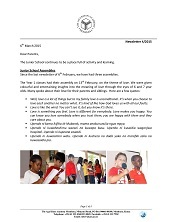 Welcome to the sixth Junior School Newsletter of the 2015-2016 academic year. 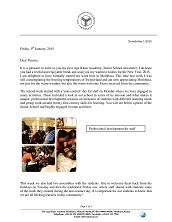 Welcome to the fifth Junior School Newsletter of the 2015-2016 academic year. 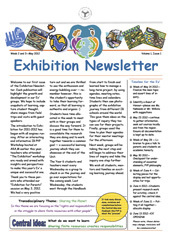 Welcome to the fourth Junior School Newsletter of the 2015-2016 academic year. 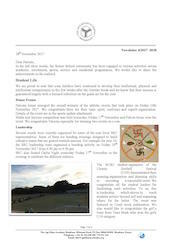 Welcome to our third Junior School newsletter of this academic year. 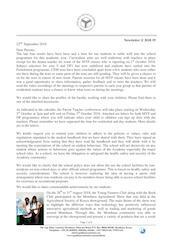 Welcome to our second Junior School newsletter of this academic year. 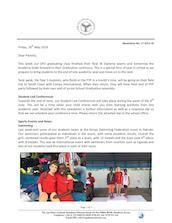 As this school year draws to an end, we send you a final newsletter from the Junior School. 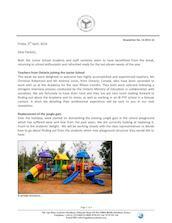 With just under one month of the school year left, I write to you with some updates from the Junior School. 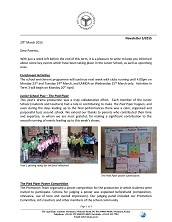 Welcome to our 8th May, 2015 Junior School Newsletter. A very warm welcome to Term 3! 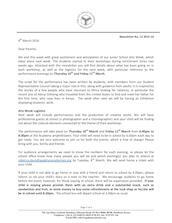 With just a week left before the end of this term, it is a pleasure to write to keep you informed about some key events which have been taking place in the Junior School, as well as upcoming ones. 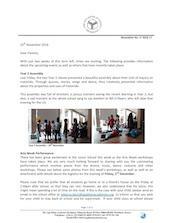 The Junior School continues to be a place full of activity and learning. 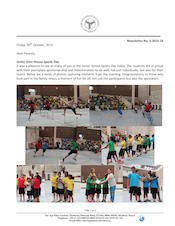 The past two weeks have been productive ones, with lots of activity in the Junior School. 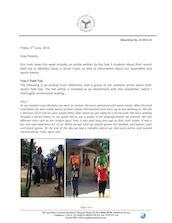 We have been looking forward to sharing with you some updates in this newsletter. These past two weeks have flown by and there has been much activity going on in the Junior School. The Year 4 classes led our assembly last Friday and it was wonderful to see so many parents join us. 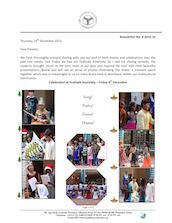 In the assembly the children spoke in different languages and many were dressed in national dress, a true demonstration of our diverse community here at the Aga Khan Academy in Mombasa. 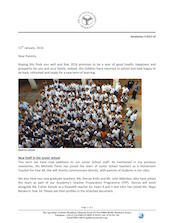 It is a pleasure to write to you my first Aga Khan Academy, Junior School newsletter. I do hope you had a restful and enjoyable break and send you my warmest wishes for the New Year, 2015. 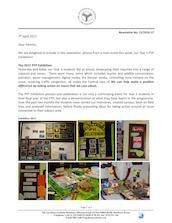 The buzz in school is contagious, students are engaged and ready to get their teeth stuck into the process of Exhibition. This year’s theme is Sharing the Planet – the central idea is that "Sharing finite resources creates responsibilities". 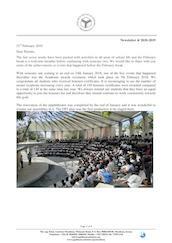 Read the February 2019 edition of the Aga Khan Academy Mombasa Senior School newsletter. 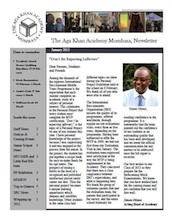 Read the November 2018 edition of the Aga Khan Academy Mombasa Senior School newsletter. 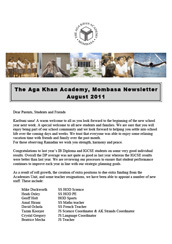 Read the September 2018 edition of the Aga Khan Academy Mombasa Senior School newsletter. 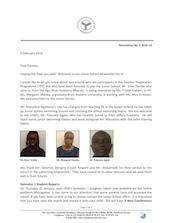 Read the August 2018 edition of the Aga Khan Academy Mombasa Senior School newsletter. 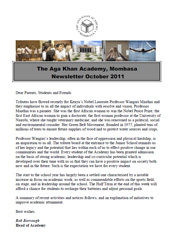 Read the October 2017 edition of the Aga Khan Academy Mombasa Senior School newsletter. 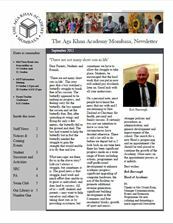 Read the September 2017 edition of the Aga Khan Academy Mombasa Senior School newsletter. 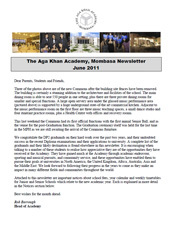 Read the June 2017 edition of the Aga Khan Academy Mombasa Senior School newsletter. 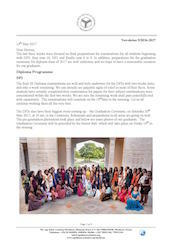 Read the May 2017 edition of the Aga Khan Academy Mombasa Senior School newsletter. 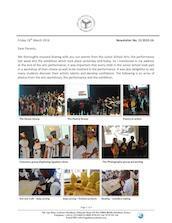 Read more about what our students have been up to in the past few busy weeks: from the Taita expedition to the East Africa Sports Festival to Mocks for our Year 10 and DP2 students. 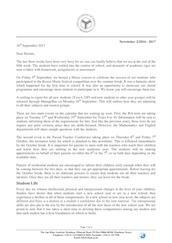 This newsletter contains updates on the latest ceremonies, events, and activities held at school recently. 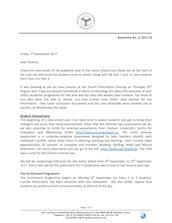 It also provides a brief overview of upcoming visits, and the anti-bullying week being observed at the Senior School this week. Read this month's newsletter to find out about how the Academy is enhancing French language teaching and learning through a new partnership. The Senior School students have also achieved a milestone by organising and successfully executing the Academy's first TedX event. 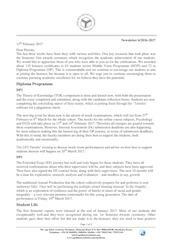 Read about the exciting extracurricular activities and events that have kept our students busy this month. 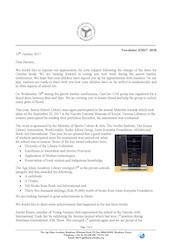 We are proud to share the news that the AKA Mombasa Senior School Library has won this year's Maktaba Award. 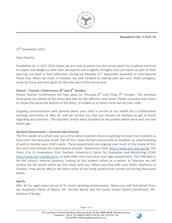 We would also like to thank you for your attendance at the Parent-Teacher Conferences this month, and look forward to welcoming your children back to school after the holiday. This September, we enjoy the melodious victories of our students at the Kenya Music Festival by showcasing their performances at school. 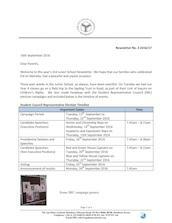 Enrichment programmes have also commenced full throttle, and we gear up for the upcoming Parent-Teacher Conferences to be held next month before the midterm break. All this and more in this month's newsletter! 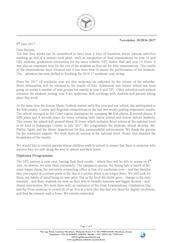 Welcome to the first newsletter of the 2016-2017 academic year. Find out about the exciting start that the Senior School students had this month as they returned for the new academic year! 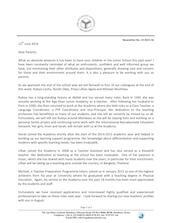 Welcome to the ninth Senior School newsletter of 2015-2016 academic year. 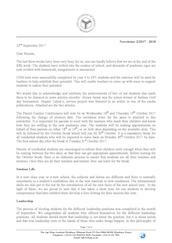 Welcome to the eighth Senior School newsletter of 2015-2016 academic year. 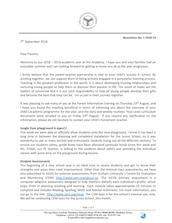 Welcome to the seventh Senior School newsletter of 2015-2016 academic year. 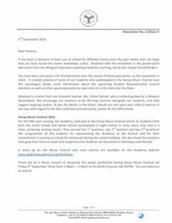 Welcome to the sixth Senior School newsletter of the 2015-2016 academic year. 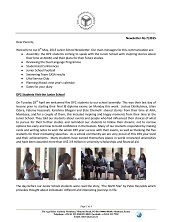 Welcome to the fifth Senior School Newsletter of the 2015-2016 academic year. 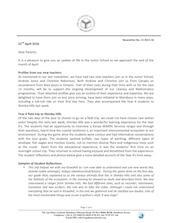 Welcome to the fourth Senior School Newsletter of the 2015-2016 academic year. 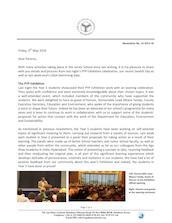 Welcome to the third Senior School Newsletter of the academic year 2015-2016. 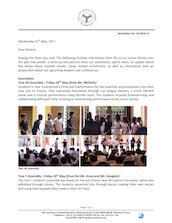 Read about all that we have been busy with at the Senior School in the last three weeks, and about our upcoming important events. We can say we are off to a good start of the 2015-16 academic year in the Senior School! 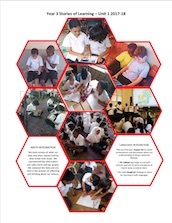 Students at the Aga Khan Academy Mombasa Junior School have been exploring exciting new ideas and learning a variety of skills in their first Unit of Inquiry. Read the Stories of Learning to find out more. 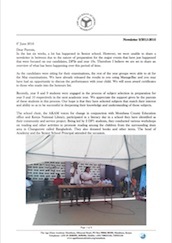 Read or download the latest Newsletter here. 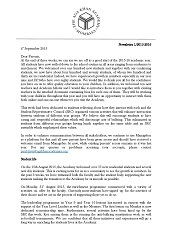 Read or download the latest Newsletter from the Academy. 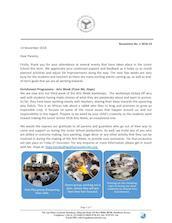 Here you can download or read the latest news-filled Newsletter. 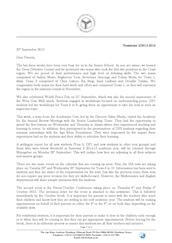 It contains reports of many events held in September up until the mid-term break in October. 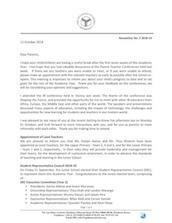 Welcome to the new Academic Year. 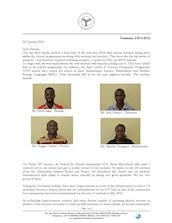 Read or download the latest newsletter. 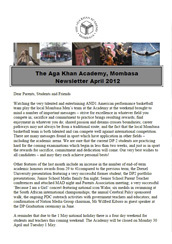 Read or download the latest Newsletter to catch up with all the latest events at The Academy. 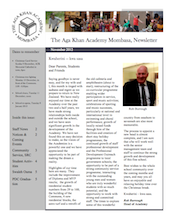 Read this bumper edition with 2 extra pages covering recent events at the Academy. 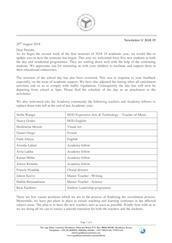 Our best wishes to our Class of 2013. 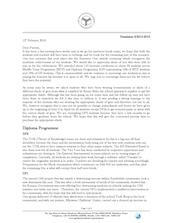 ‘No reserve, No retreat, No regrets.’… We invite you to read the latest Newsletter here. ‘There are not many short cuts in life’. The story goes that a boy watched a butterfly struggle to break free of his cocoon. The butterfly appeared to be making no progress, and feeling sorry for the butterfly, the boy opened the cocoon and set the butterfly free. 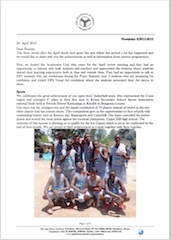 Watching the very talented and entertaining AND1 American performance basketball team play the local Mombasa Men's team at the Academy at the weekend brought to mind a number of important messages. Everyone has a support group of family, friends, workmates and teachers. Whilst most of us generally wish to remain independent, that support group is there to help – and many are just waiting to be asked. 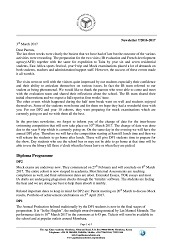 An analysis of the Term 1 reports shows that our DP1 and DP2 cohorts are currently performing at a higher level than the groups did at the same time last year. 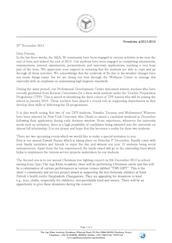 This is good news as we head towards the coming IB examinations, and demonstrates that the initiatives and high work rate by both students and staff are having a significant effect. This month we celebrate two significant birthdays. On 13 December, Ismailis around the world will celebrate the 75th birthday of the Academy’s founder and patron, His Highness Prince Karim Aga Khan. Tributes have flowed recently for Kenya’s Nobel Laureate Professor Wangari Maathai and they emphasise to us all the impact of individuals with resolve and vision. Karibuni sana! 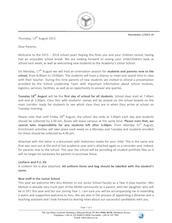 A warm welcome to all as you look forward to the beginning of the new school year next week. A special welcome to all new students and families. Three of the photos above are of the new Commons after the building site fences have been removed. The building is certainly a stunning addition to the architecture and facilities of the school.